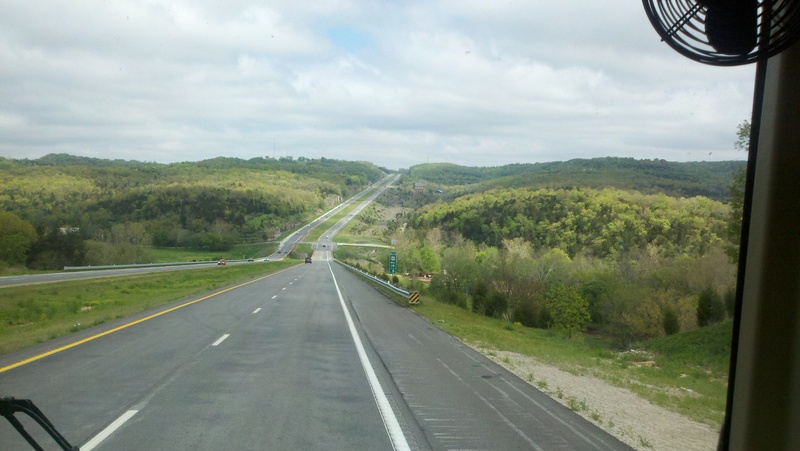 We arrived in Branson Friday May 3rd around 5 pm and left on Sunday May 5th around 11 am. 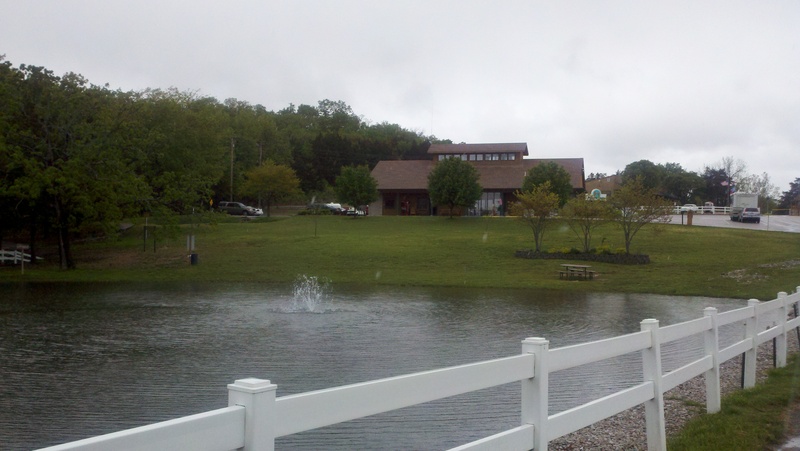 We stayed at Treasure Lake RV Resort. It is a beautiful resort on 340 acres with 544 sites. It has a put-put golf course, playground, swimming pool and lots of other amenities. It’s one of the free sites on our Coast to Coast plan so we only had to pay their additional electrical charge of $7 per night. It’s right off Shepherd of the Hills Road where lots of attractions are located but you’d never know we were so close since we were so far off the road surrounded by quiet! The weather was cold, rainy and snowy the first day and just cold and rainy the other two days. The high was 39 degrees and I don’t want to know the low! When we drove into Branson to do some sightseeing we saw many patches of snow on the ground and all the building’s roofs were covered in snow. 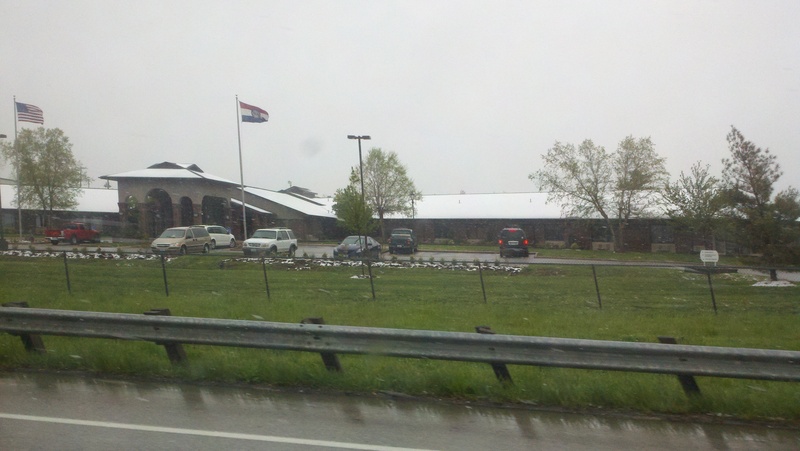 Quite a shock to have snow in May and the weather reporters said this is extremely rare in May, even for Missouri. I think God is preparing us for the cold in Minnesota. After the snow stopped it rained lightly all day so after going into town we stayed in and enjoyed the rest. 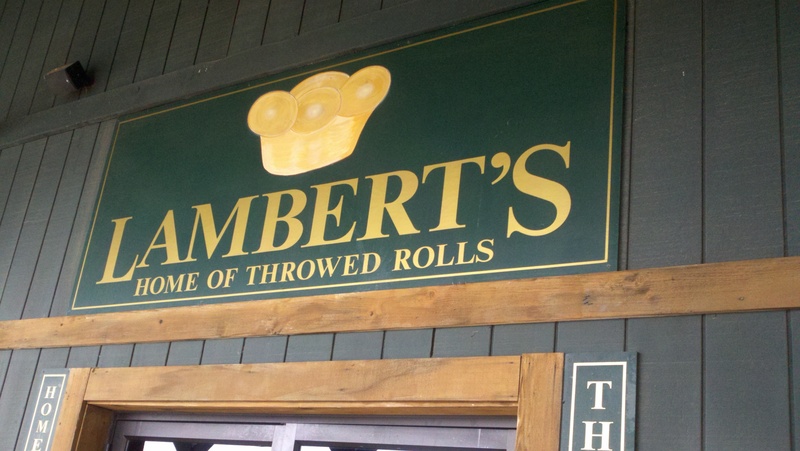 Mid afternoon we decided to drive around and see more sights in Branson and ran across Lambert’s Restaurant. What a delightfully enjoyable place that is. 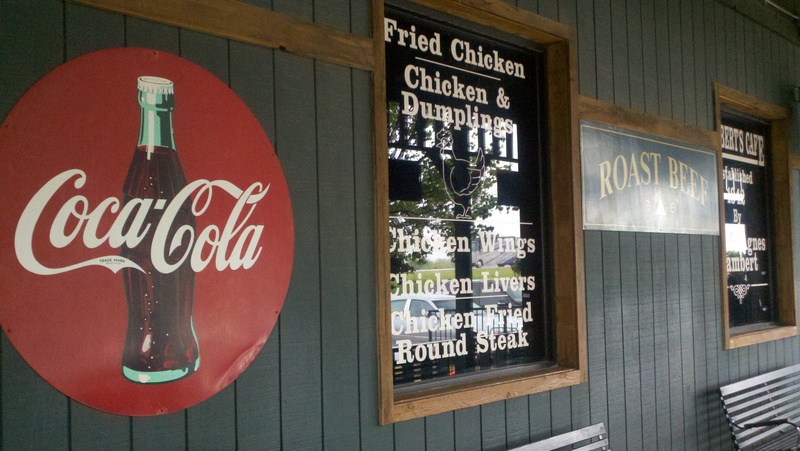 The food was great, the atmosphere was fun and the novelty of people coming around with bowls of food (macaroni and tomatoes, fried potatoes, black-eyed pies, and fried okra) while you eat and offer you some made the whole experience perfect. I forgot the perky guy who ran around throwing rolls to everyone who wanted one. I took several pictures of him but he was always in such fast motion everyone came out blurred. Day two in Branson we slept in late and after lunch went into town to Sight and Sound Theatre to see the production of Joseph (from the Bible). It was amazing! Characters came in from all over and the play wasn’t just in front of us it was on both sides too. The singing was great but typical Roy said he just knew Jessica Davis would have sung the lead woman’s part better! While we didn’t plan to do this we went straight from the Theatre to the IMAX to see Iron Man 3. What a huge screen and a really good movie. I think Robert Downey Jr. is a great actor and perfect for that part. 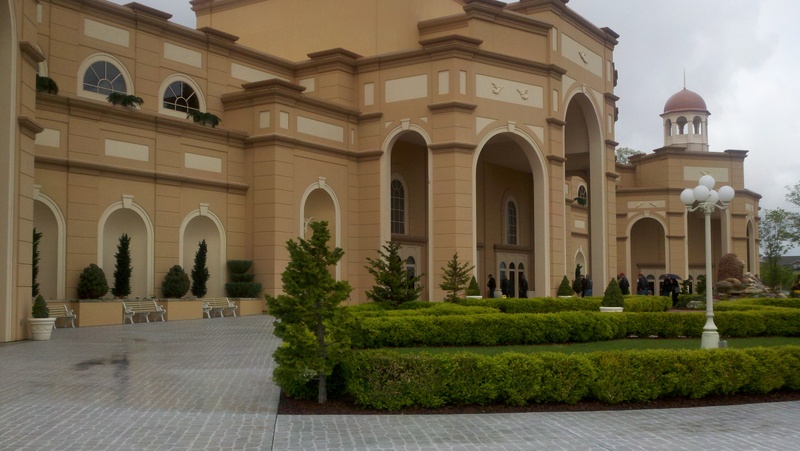 The IMAX is right next to our RV Resort so there was no long drive home! 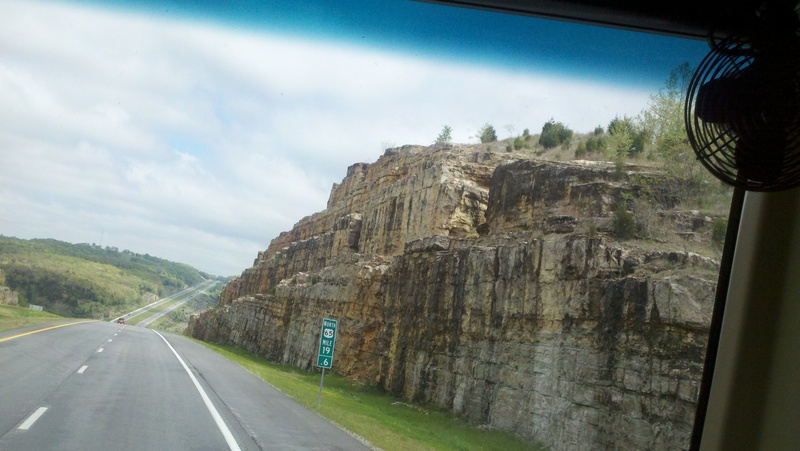 On our way out of town leaving Branson I took some pictures of the highway through the mountains and the rocks they dug through for the highways. it certainly isn’t the Louisiana flatlands! 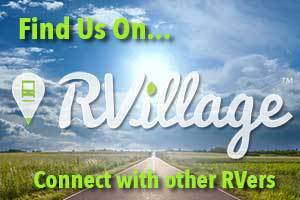 We’re headed to Linn Valley, Kansas which is near Kansas City, Kansas for our overnight stay at Linn Valley Lakes RV Resort. The folks we’ll be working for in Minnesota wrote to us yesterday that they will understand if we’re late arriving there due to the unusual weather conditions in the North. That is very comforting for us to know since we have no experience driving in the snow or bad winter conditions. We’re really looking forwarding to joining our new little family at Lake Kabetogama, MN! So glad that everything is going well so far. I will travel and explore vicariously through you!